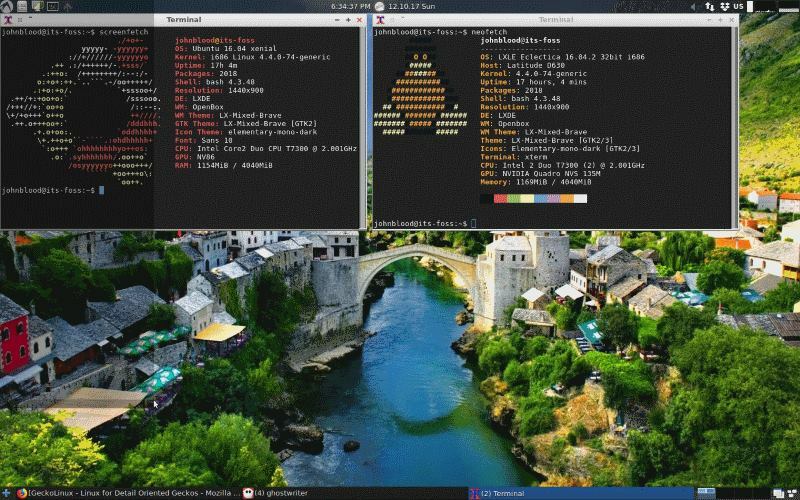 Brief: LXLE is a lightweight Linux distribution mainly focused on older systems. John takes it for a test drive and shares his experience in this LXLE review. If you visit It’s FOSS often, you’ll know that I’m a big fan of Arch-based distros. In fact, most of my distros I’ve reviewed in the last year were Arch-based, take ArchLabs Linux review for example. This time, however, I’m going to try something completely different. Here is a look at the Ubuntu-based LXLE. The LXLE project has two taglines: “Revive that old PC” and “Full featured OS for an aging PC”. Started in 2013, the LXLE project is designed to primarily to keep old PC useful and up-to-date. They do this by making use of the LXDE desktop environment because it is light on resources, but still very functional. 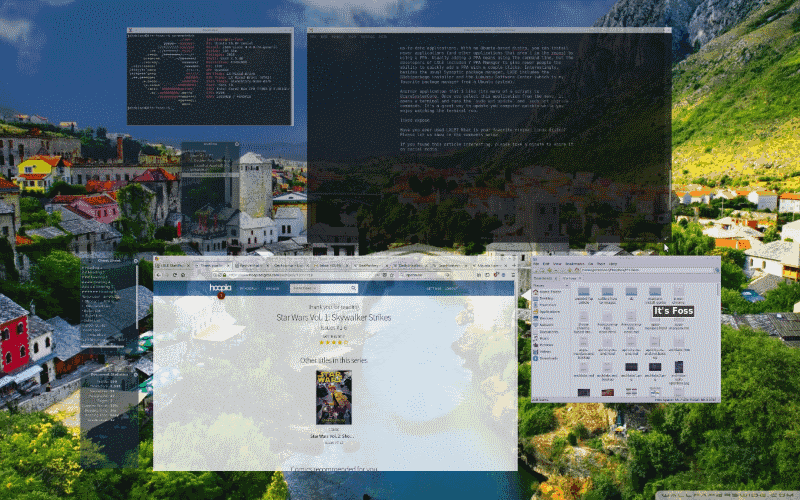 LXLE is also included in our list of best lightweight Linux distributions. 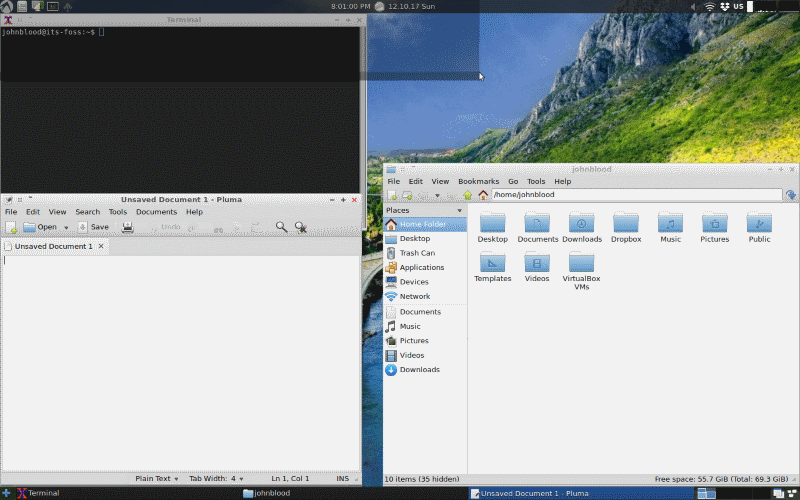 Unlike many distros, LXLE only includes the one desktop environment. To ensure that the system is stable, LXLE is based on the Lubuntu LTS (Long-Term Support). Each Ubuntu LTS continues to receive updates for 5 years, instead of the typical 9 months. At the time of this review, the most current version of LXLE is 16.04.3. A video version of this review is available on our YouTube channel. Do subscribe to our channel for more Linux videos. As you would expect from a distro designed to bring life to old computers, LXLE has pretty low system requirements. According to the project’s wiki, internet usage takes the most amount of system resources. The absolute minimum system requirements for an ‘OK’ online experience are Pentium 3 processor with at least 512 MB of ram and 8 GB of hard drive space. If you want to have an adequate Internet experience they recommend: Pentium 4 processor with 1 GB or more of ram and 8 GB of hard drive space. Originally, I tried to install LXLE on my HP Compaq nx6325 laptop. However, I didn’t have any luck. I tried both CD and flash drive, 32 and 64 bit. All attempts failed. I decided to change hardware. I was able to successfully install LXLE on my Dell Latitude D630. This laptop has an Intel Centrino Duo Core processor running at 2.00 GHz, NVIDIA Quadro NVS 135M graphics chip, and 4 GB of RAM. This is my main Linux computer. The installation process itself was pretty effortless. Like many Ubuntu based distros, it makes use of a modified version of Ubuntu’s Ubiquity installer. There were some features in particular that piqued my interest, some favorably, some not. Here they are. Most distros allow you to pick one of several file systems during the install process. However, LXLE only supports Btrfs. For those unaware, Btrfs is a newer file system, built completely from scratch and designed to improve on current file systems, like ext4. Btrfs can support larger hard drives than ext4 and has tools for working with multiple drives and RAID setups. Since I was just installing LXLE on one drive in a laptop, I didn’t need to take advantages of the more advanced features of Btrfs. One thing that surprised me was that they decided to include SeaMonkey as the browser instead of something more popular like Firefox. SeaMonkey is more than just a browser, it also includes an email client and an HTML editor. Originally a Mozilla project, it is now an independent project administered by the SeaMonkey Council. (Great name!) SeaMonkey uses the same Gecko engine as Firefox, but still retains the look of Netscape. When I install a new distro, I like to run a command line system info script to see what it says. The most common is Screenfetch, but I also like to use Neofetch. Both showed useful information about the system, but Screenfetch thinks its Ubuntu 16.04. It’s a small but interesting point. Speaking of Ubuntu 16.04, while I’m a big fan of rolling-releases I like the idea that LXLE is based on an LTS release. I think it gives the developers more time to work on their distro and fine tune it. I imagine their time between releases is spent fixing bugs instead of adding features. One drawback of having a distro based on an LTS release is the lack of up-to-date applications. With an Ubuntu-based distro, you can install newer applications (and other applications that aren’t in the repositories) by using a PPA. Usually adding a PPA means using the command line, but the developers of LXLE included Y PPA Manager to give newer users the ability to quickly add a PPA with a couple clicks. Interestingly, besides the usual Synaptic package manager, LXDE also includes the GDebi package installer and the Lubuntu Software Center (which is my favorite package manager for an Ubuntu system). Another application that I like (its more of a script) is UcareSystemCore. Once you select this application from the menu, it opens a terminal and runs the sudo apt update and sudo apt upgrade commands. It’s a great way to update your computer quickly while you enjoy watching the terminal run. Finally, there was a neat little application named Expose. It’s a quick way to see all of the applications you have open. All you have to do is hit Superkey + `. It is similar to Mission Control in macOS. In fact, Mission Control used to be called Expose. If you are a big fan of colorful backgrounds, LXLE has you covered. All you have to do is click a button next to the main menu and you can cycle through a bunch of wallpapers. Overall, I enjoyed my time with LXLE. Like I said earlier, I was able to do everything I wanted to do and install everything I wanted to. It ran smoothly and didn’t eat too much RAM. What more could you want? It had a bunch of nice touches that are missing from the Ubuntu (or even Lubuntu) releases. Good job, guys. Have you ever used LXLE? What is your favorite light Linux distro for older machines? Please let us know in the comments below. Yes, I’ve been using Lxle (pronounced like tile with an ‘L’) for 18 months now. I have it on two 10″ netbooks and sold another with it on last year. It’s my go-to operating system for installation on these little old netbooks. It has pretty well all the software and functions I need for surfing and printing. Whatsmore, it runs problem-free. Peppermint 9 is also good an is ubuntu-based too. I installed lxle on my slower 2core 1.9 Ghz 4 GB Ram subnotebook after testing quite some alternatives. Lubuntu 18.04 was the first that seemed a bit too much for my oldie. 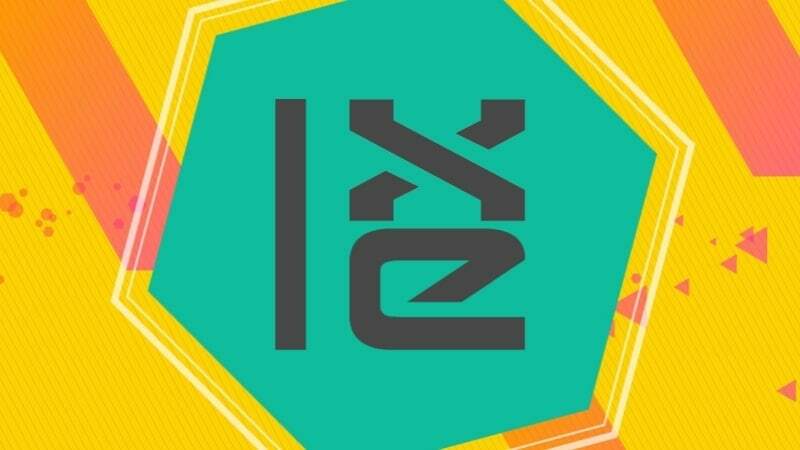 I am very happy with lxle. So many things are looked after. A small example – tlp linrunner which saves battery life is pre-installed, very nice. I only added pale moon instead of Seamonkey as browser and thunderbird/enigmail (which also works with Seamonkey of course). Then vlc player and – because I liked it in Lubuntu – audacious audio player. Everything runs wonderful. Your article taught me quite a bit, thank you! A small downside is that the lxle forum requires an outdated google captcha for registering, so you can’t at the moment (July 2018). I donated a tip to lxle at their site and added this minor problem in a comment, but after 4 weeks nothing changed. Well ubuntu-forums and ask ubuntu works wonderful for any questions one might have, so this is really a small minor problem that might soon be solved. Thanks for your most valuable review!